The Magnum models feature wide heads with large stringing surfaces, stiff frames and the Magnum bubble shaft design for better flex response and reduced vibration. 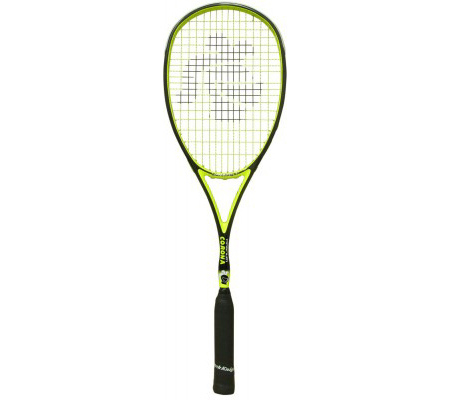 Magnum Corona medium stiff bridged squash racket is an ideal racquet for those players looking to sharpen up their control while letting the racquet provide the power with an easier swing. The head size is slightly smaller than the other magnum models to provide a more concentrated sweet spot. The Corona features Ashaway Supernick XL Micro string which will lighten up the head slightly, for those looking for a head light balance.